Learning about shapes sets the stage for understanding geometry. For young children, this involves recognizing and naming simple shapes and their attributes. Three-year-olds are building their shape vocabulary. You can reinforce their understanding by using words like "square," "circle," "triangle," "side," "corner," "curved," "straight." 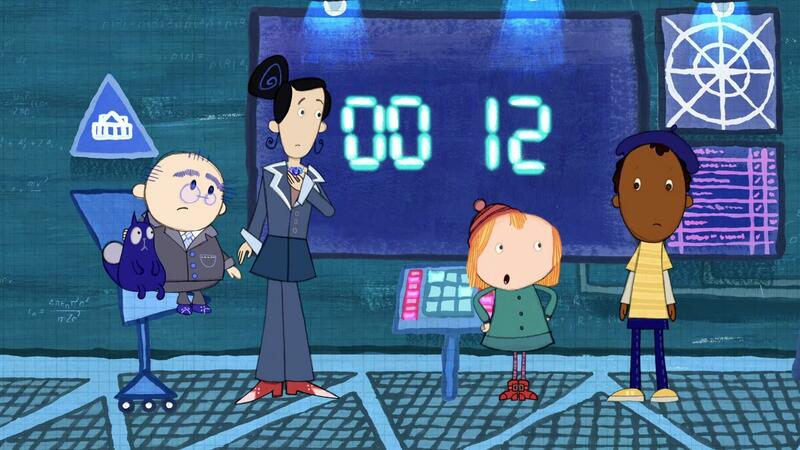 To help them understand the differences between shapes, help them count sides and corners. Your child can complete a craft and play a game to learn more about the planets in our solar system. 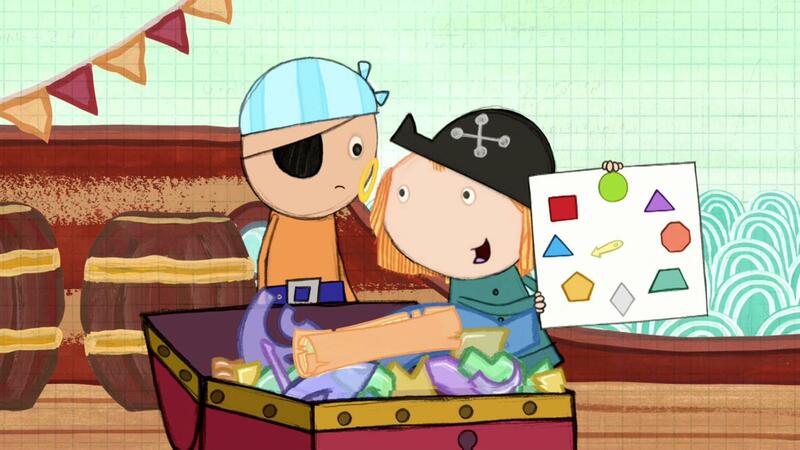 Peg teaches the pirates how to solve the jewel puzzle by paying attention to the shape attiributes.